Home Uncategories The Voice of the Turtle, Episode 48: That's the end? The Voice of the Turtle, Episode 48: That's the end? The Voice of the Turtle is back to its usual makeup this week, as Rob returns from his one-week vacation on Podcastellanos Island. 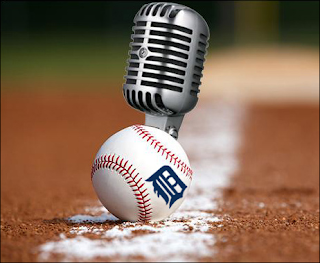 Your co-hosts break down the last few games of Tigers baseball -- ok, it was mostly just sighs of disappointment -- and look ahead at what the offseason holds. Rob and Hookslide also offer their picks for this postseason, and wonder just what in the world Buck Showalter was doing in Tuesday's AL Wild Card Game. Of course, it wouldn't be an offseason episode of The Voice of the Turtle if some big news didn't break the day of recording. Earlier on Wednesday, the Tigers announced that Brad Ausmus would be back for 2017. We examine that decision, offer a swear or two, and break down why or why not it was the right decision for the Tigers. There's even some positivity to be found! Rob and Hookslide also look back at Al Avila's first year on the job as general manager, and re-evaluate our own preseason picks (spoiler: they're not all awful!). - What are we drinking this offseason?